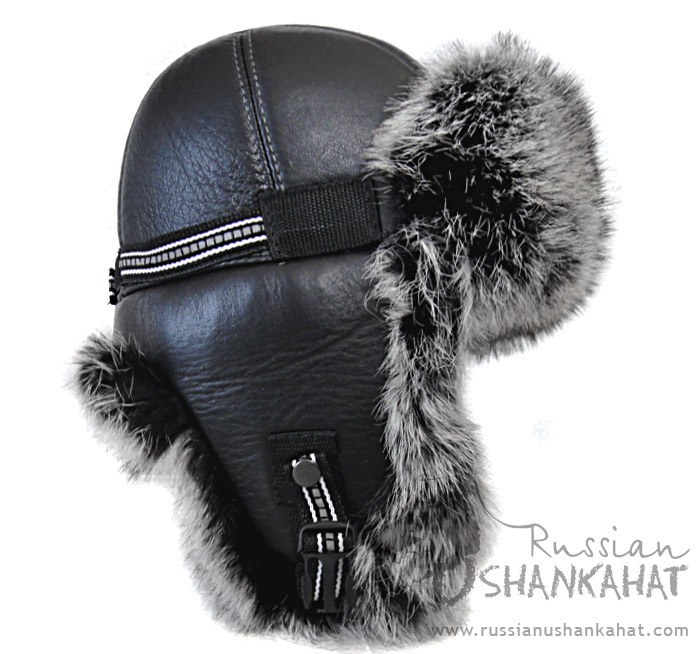 Very high quality natural leather and rabbit fur pilot style "aviator" hat. Thick, warm and very stylish! 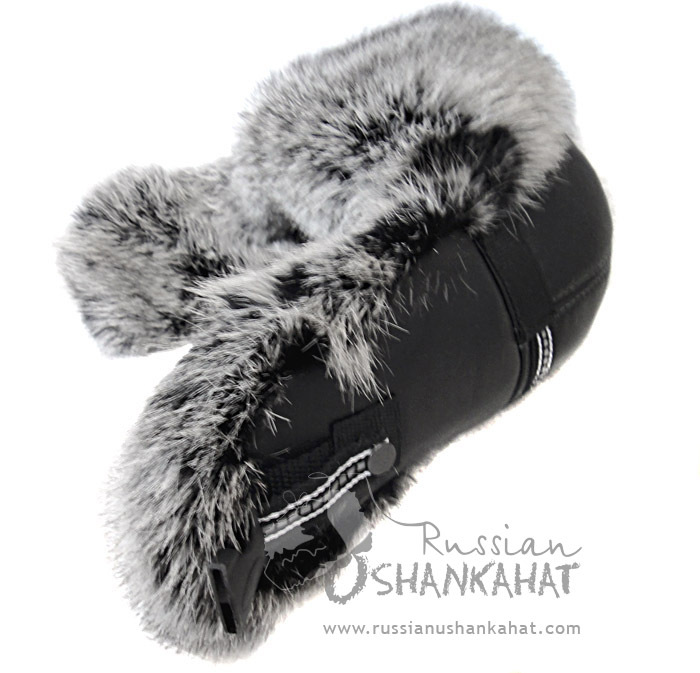 Black rabbit fur with streaked grey tips. This looks really nice! 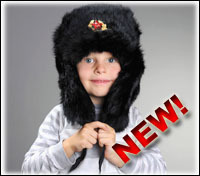 The earflaps can be snapped behind neck or on top of the hat also. Adjusting strap with velcro has light-reflecting elements. 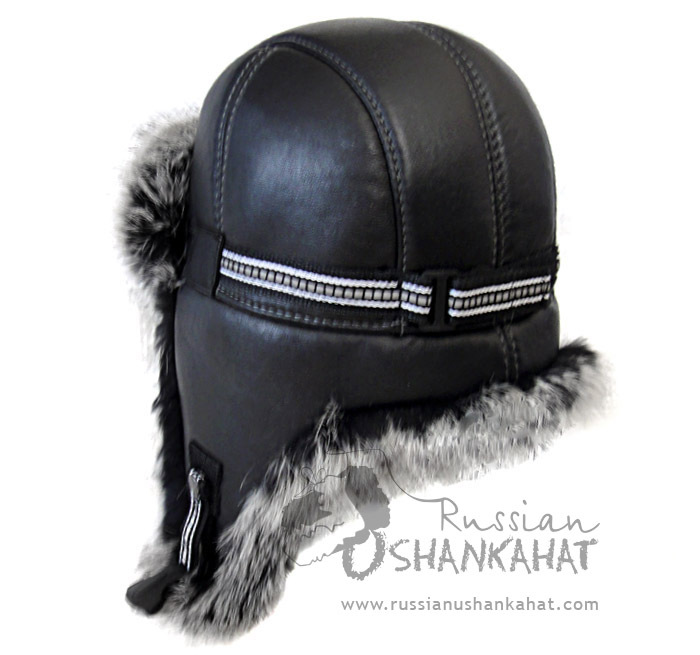 The hat is very comfortable and it is great for skiing, snowboarding or any other winter outdoor activities! Submitted by nic4x4 on Thu, 11/24/2016 - 00:38.